This post is written for people who hear about app tracking for the first time, have absolutely no idea what SDK is, and don’t have a clue what is the color of standard attribution window. For everyone who wants to figure out which tracker will be optimal and what are the advantages of various kinds of tracking systems. 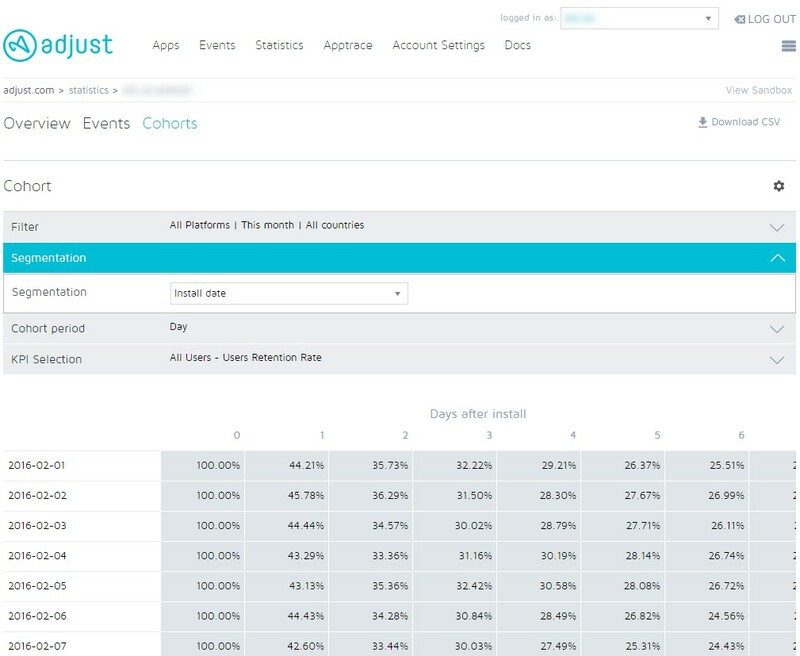 Tracker — mobile app analytics system with an option of monitoring the source of installs. When choosing a tracker, you should consider lots of points. First of all, you have to understand that there are two types of tracking: the installs channel monitoring system and in-App analytics for the analysis of demographics, geolocation and user session length. The tracking work principle is simple. User clicks on the ads banner (video, textual ads), a redirect occurs and tracker fixes click in the system. Then, user goes to the store and downloads app, which already contains SDK. Then, the information is again sent to the tracking system (postback). Tracker fixes this installation. 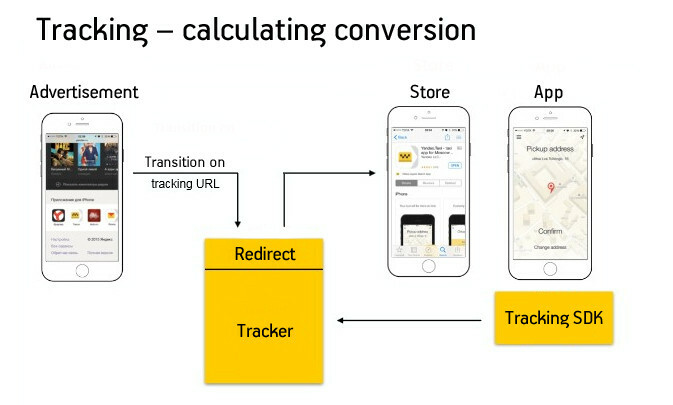 Regardless of the tracker type you take, you will have to implement it with the help of SDK. SDK (software development kit) — set of development tools that allows software specialists to create apps for a particular software package, software development frameworks, hardware platform, computer system, game consoles, operating systems and other platforms. In plain words, the code is generated inside each tracking system, and this code will transfer data among the store, app and the tracker itself. 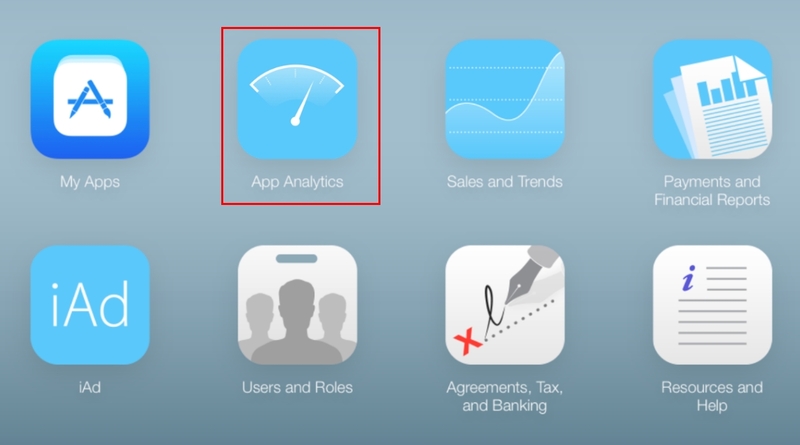 In case you work with App Store only and your application is a paid one, it is possible to confine yourself to the build-in iTunes Connect analytics. In this case, you don’t have to implement anything extra. You can create the tracking links right in there. 1. 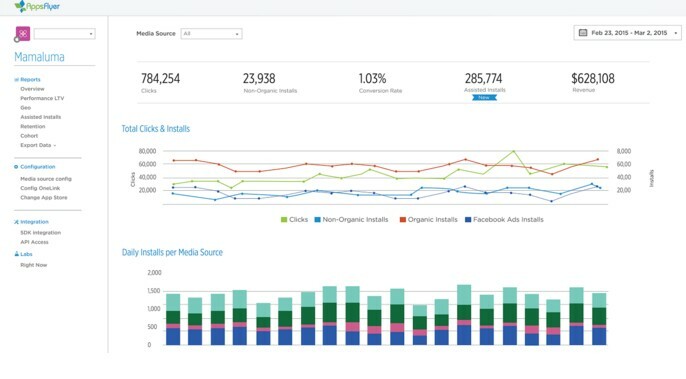 Go to page with apps analytics. 3. In “sources” section, choose “Create a campaign Link”. We recommend you to name it in the following order: ad source, campaign name, banners size (in case there are several of them) or its group. By the way, if you prefer to make an accent on “creativity” and “visual”, don’t be so quick to go to Wikipedia. It’s also a banner. Make a copy of system-generated link. To display statistics, it is necessary to have at least five unique applications. Attribution — way of transferring the source of a click or conversion. Attribution window — temporal interval between clicking on the advertisement and application installing. 1. Google Analytics We recommend all our clients to install free of charge Google solution — Google Analytics for mobile apps. In case clients’ activities are not only presented in mobile, but also in the desktop web, then it is an obligatory condition. Firstly, GA provides a complex indication of the traffic distribution. Secondly, it is possible to form AdWords remarketing lists, which is still leading Runet as a traffic source. The standard attribution window, as well as the one for web versions, accounts for 3 days. The system isnt' set up for working with mobile apps and that is why it is unable to count a full-fledged cohort analysis or a vortex. However, Google strives to improve its products, and it can be noticed by the number of updates generated over the last year. It is worth noting that Google Analytics has a powerful API package, which allows to receive much more information compared to working with interface. Tracking available for: Android, iOS, Windows, Unity. 2. Yandex. Metrics for applications or AppMetrica. A relatively new product on the mobile market, and yet a very functional one. AppMetrica provides a symbiosis of functions, which is easy to work with—the system is able to send postback while analysing users behavior. Analytics is integrated with many ad networks that considerably simplifies tracking when working with a big number of sources. The system uses several attribution models: Device Identifier Matching (a 48 hours gap) and Device Fingerprint Matching (click attribution can take up to 10 days). The first model offers an integration with ad networks and adds two parameters to the tracking list that allow to fix the installation only after it is opened. Device Fingerprint Matching for its part associates clicks by the ad with settings. Tracking is available for: Android, iOS, Windows, Unity. 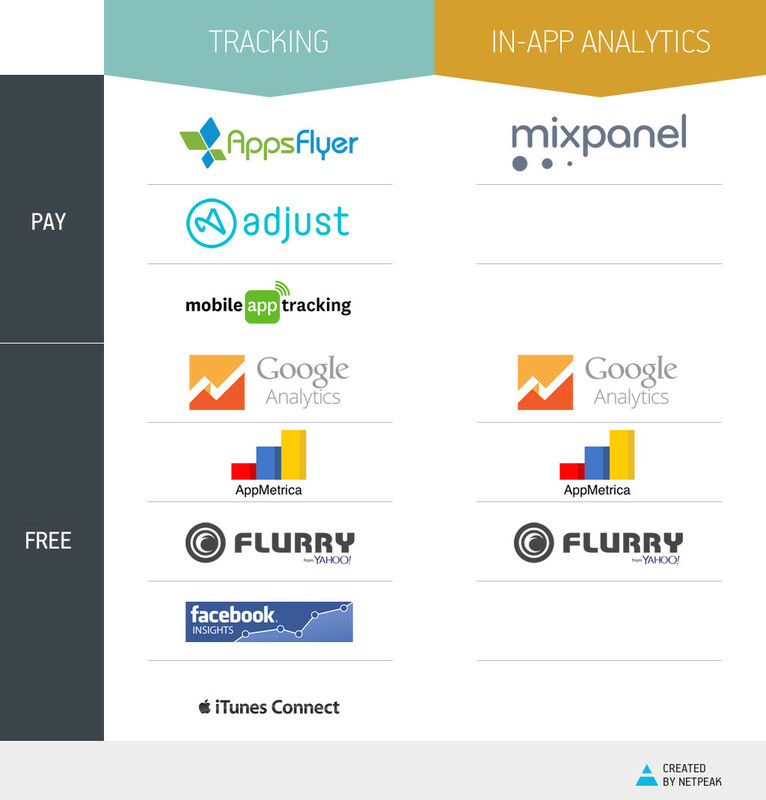 Flurry and Google Analytics are competitors. Developers often face a dilemma of choosing between these two solutions specifically. Flurry allows to monitor all the same that GA does. The advantage of this system is operating with the events, which is easy enough to set up and the opportunity to set a step implementation period while setting up the vortex. The inside analytics reports are well-organized, and it is possible to generate necessary segments and vortexes. If talking about the disadvantages, it is possible to underline the absence of financial rates calculation and the ability to conduct the A/B testing. It is possible to conclude that this system won’t work for those, who has embedded purchases in their app. The attribution window consist of 48 or 72 hours, depending on system receives the device’s ID or not. Tracking available for: Android, iOS, Unity (integrates with difficulties). Tracking available for: Android, iOS, Unity. High-quality tracker has a considerably high price. And all because paid decisions are better at traffic sources analysis. It is a paid tracker with a good reputation on the market. It is possible to download a trial version with 5000 of unlimited installs and over 10 000 of integrated partners that facilitates work with paid traffic sources. 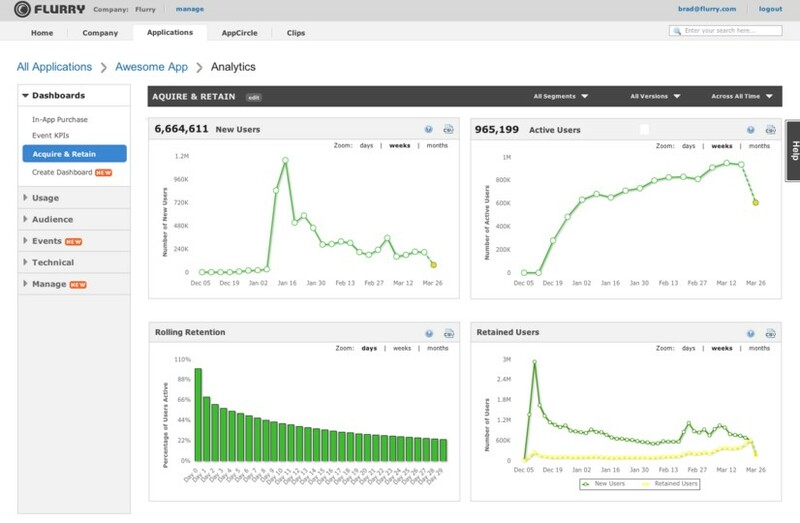 AppsFlyer has recently learned to compare data by users’ activity during TV campaigns. The last one is a clear advantage for the big brands that hold national campaigns and want to measure their effectiveness. 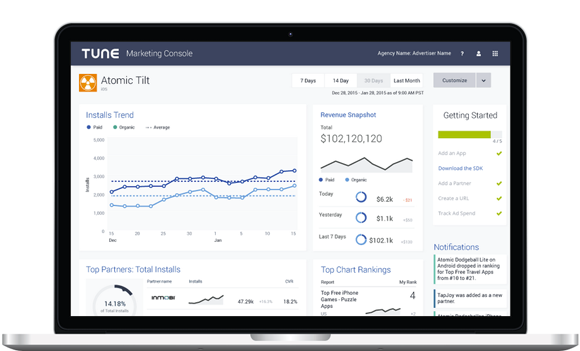 Moreover, it is easy to use AppsFlyer for measuring inside app conversions and purchases, LTV and even ROI. The system differently monitors installs for different channels. Twitter attribution window—14 days, the Facebook one is 28 days and the other advertisement systems—7 days. Trial version is available. This service is available for: Android, iOS, Windows Phone, Amazon Apps, Unity. If buying a paid tracker package, you receive a bonus in the form of standard reports, API access and organic installs monitoring. During the conversions analysis in the app, pay attention to the fact that the installs amount does not correspond with the amount of conversions themselves for the current period. The events attribution gets attached with source of installs during the whole life period of a certain user. As a plus—flexible payment system that depends on attributions fixed by the system. They have an unlimited package for the major players/ high rollers. 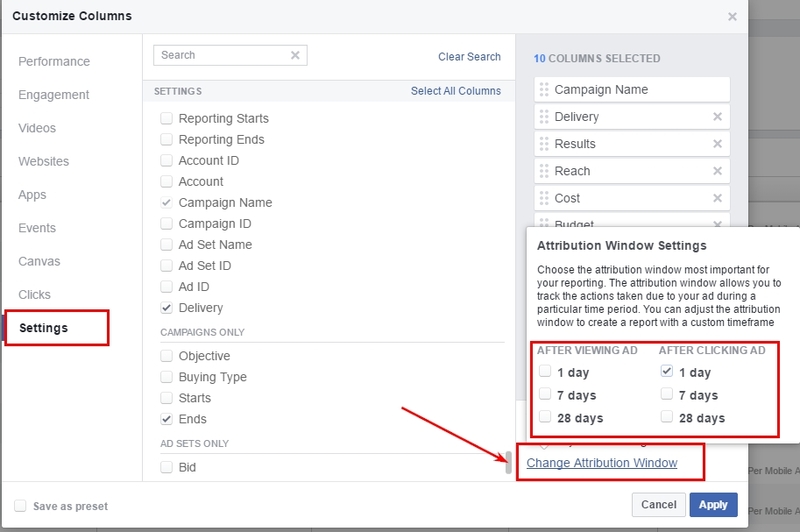 The standard attribution window comprises 7 days. To receive a 30-days trial version, you have to send an application on email. This service if available for: Android, iOS, Windows, Unity. This service fulfils almost any type of requests regarding reports. It also hampers a clear understanding of the install-generated income, and also can calculate user’s LTV. There is a powerful API functionality that allows to generate reports of any degree of complexity. The system is so complex and extensive that it allows to set the attribution window individually for each partner. 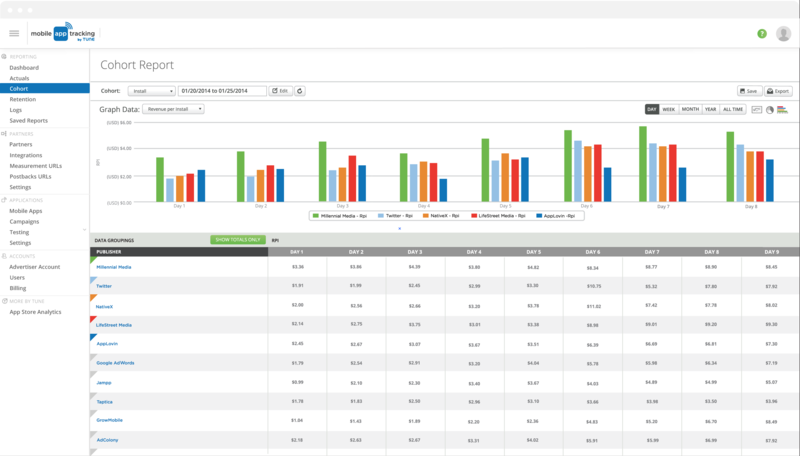 It is worth noting that this type of analytics will suit only advanced owners of the applications. Otherwise, the amount of received information will simply be useless. Tune’s functionality is as powerful as possible, and that is why its price is even higher than the one of AppsFlyer or Adjust. Moreover, this tracker does not monitor installs from Facebook, so you won’t be able to see the full picture. You can request a trial version on the website. This service is available for: Android, iOS, Windows, Unity. Standard attribution window is 30 days long and, together with that, it can be regulated the same way as it is done in Tune. Mixpanel’s benefit is an option to send push and targeted messages to any type of app’s audience. Trial version is available. This service is available for: Android, iOS, Windows, Unity. In my opinion, under the classic option of app promotion, the optimal variant is free of charge Google Analytics and paid tracker. Such combination will allow you to qualitatively monitor the source of installs, optimize ad campaigns, and also give understanding of user’s behavior after installing the app. In case you are already working with a tracker service, tell us about it and the reason you decided to choose it. Share your opinion in the commentaries. Personally we use Google Analytics and Mixpanel to view the stats and conversion of Cookie clicker users. They are very accurate and gives precise details. Very informative article thanks a lot for sharing.